Only we could have our very own Valentine’s Day, special to us, exclusive. Happy Valentine’s Day, my love. 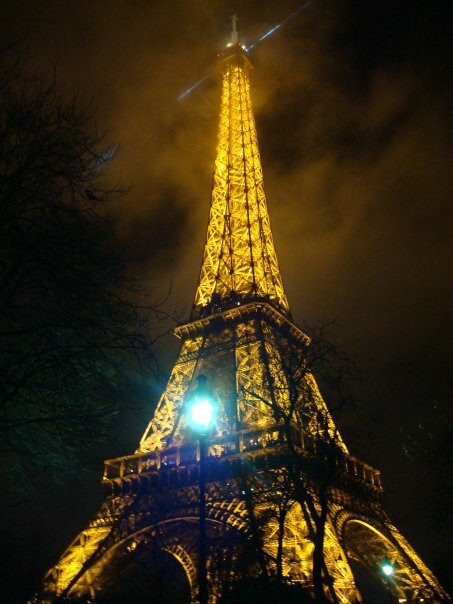 I think back to that night in Paris, five years ago now, and how cranky I was as we got lost trying to find the Eiffel Tower. I mean, who does that? Who gets lost trying to find such a massive landmark, such a gorgeous work of architecture? We do. But I also remember sitting on a bench along the way, my feet blistered and sore, my back aching from all the walking we’d done that day, and despite my aggravation I couldn’t think of anywhere else in the world I wanted to be more than right there, lost in Paris, with you. And now, as promised in my card this morning, your gift. I wish I could give you the world, my darling. I’d give you the sun and stars, the sea and trees… all you’d have to do is ask. Sadly, I can’t give you the world because I’m only small, only one in billions, but I can give you the best view of our world that anyone could possibly have. The tickets are booked… pick a date and a time and we’ll see the world from the very top. ‹ PreviousAnd the winner of my first ever giveaway is….